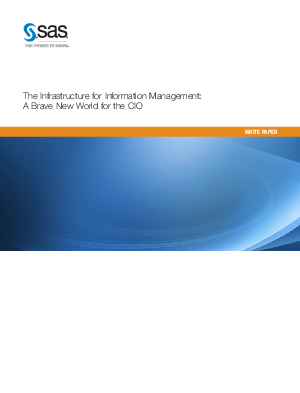 The concept of the chief information officer (CIO) title has been well-established for many years. And although the role the CIO plays has slowly evolved in alignment with (and sometimes in reaction to) changes in the world of technology, dramatic changes in the perception of the creation, use and employment of information have somewhat skewed the direction that the CIO role has taken. In the past, the main focus of information management was subsidiary to the execution of “business as usual,” typically framed within the development framework for applications that implement operational or transactional business processes. Here, the data acquired, created, modified and used was solely intended to guarantee the proper completion of the process. This paper will provide an overview of the key drivers and then present an enumeration of the critical capabilities that must compose the informatio management landscape.